RUSH: Joy Behar has been forced to save her job, she has apologized. She did it on The View today. Mike Pence went on Hannity last night and said that tens of millions of Americans were insulted by Behar’s comment about Pence talking to God and how insane people, lunatics do that. And this is the power of many of you. That show, ABC The View and the network, have been drowning in complaints, in phone calls, tweets, texts, you name it. And they were forced. 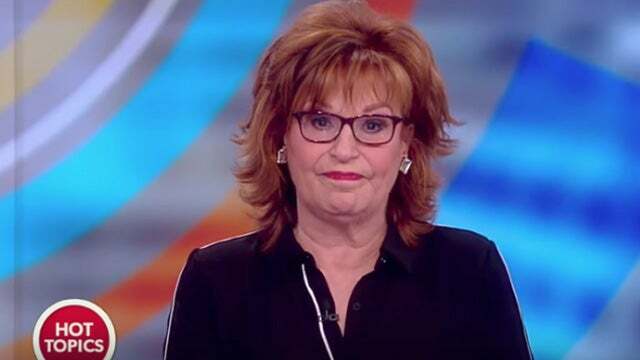 So Behar today, “I think Vice President Pence is right. I was raised to respect everyone’s religious faith, and I fell short of that. I sincerely apologize for what I said.” They held out for a month and were forced to do it. Congratulations, folks, you did it. RUSH: Grab sound bite number 31. This is Joy Behar, and I’m playing this because she’s also just said something else I’ve been wondering about. Here’s Behar apologizing to Mike Pence. BEHAR: I think Vice President Pence is right. I was raised to respect everyone’s religious faith, and I fell short of that. I sincerely apologize for what I said. RUSH: And what she said was that he was insane for thinking he talked to Jesus and that Jesus answered. She said that she thought he was a lunatic and that’s crazy. And you people out there, you just bombarded ABC with all kinds of pressure and she had to do that, I’m betting, to save her job. You know what? You say she didn’t sound very sincere, but she sounded different. You know, she normally sounds defiant and really ladles on the New Yawk accent when she’s out there tawking. She needs to be held up and people need to be asked to weigh in on what she’s saying because she is the figurehead leader of the Democrat Party. And Joy Behar is out there saying that Bill Clinton’s radioactive, he doesn’t help the party, Hillary’s a problem. You know, she’s like a blank slate that everybody could project their hatred onto, and that didn’t help the Democrats all. She unloaded on the Clintons recently.